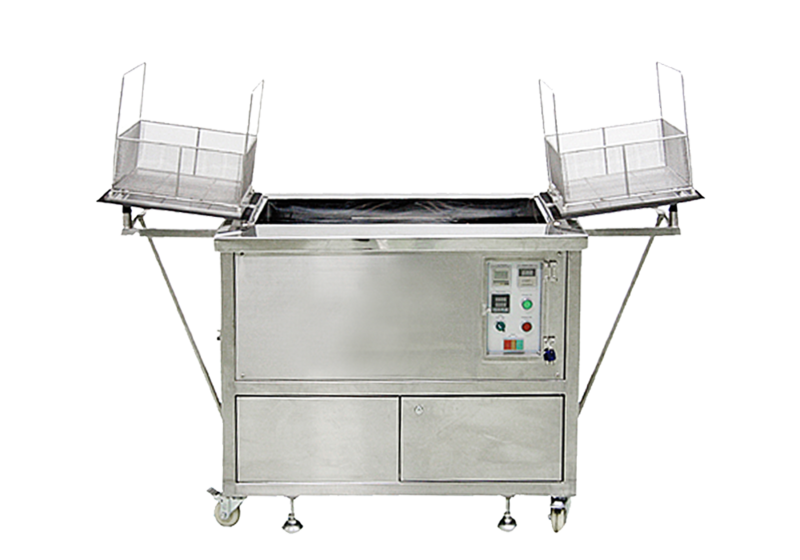 UC 3216 Industrial Ultrasonic Washer is a robust dual-tank station on wheels, designed to wash and restore medium-to-large-sized parts. Double-compartment 31-gallon tank allows for multi-stage process (wash and rinse) while powerful ultrasonic pulse system while powerful ultrasonic pulse system cleans parts inside-out, including cavities and hard-to-reach blind holes, all with minimum effort from the operator Washer also equipped with dual cartridge,surface skimming filtration system and overflow tank. ISTpure Ultrasonic Washers line is compatible with Puretech’s exclusive formula all-purpose detergents, available in different formats and strengths. Wash temperature and cycle length entirely programmable with a 7-day programmable timer to fit your work schedule.